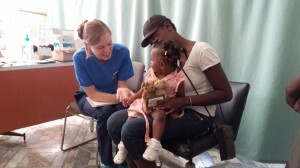 Chelsea LaBree, RN, cares for a patient at a clinic in Jolivert, Haiti. Working with older adults at the Gardens, Quarry Hill’s nursing care center, Chelsea LaBree, RN, shows a level of self-confidence you might not expect in one who graduated from nursing school only two years ago. But then, she’s already had a level of experience that few nurses her age can match. Chelsea recently returned from an eight-day total immersion in the nitty-gritty of third-world healthcare. Back in March, she used the clinical skills she’d gained through an internship at Pen Bay Medical Center and on the night shift at Quarry Hill to join a nine-member team of doctors and nurses in a Project Starfish mission to Haiti, where some of the most impoverished communities in the world are still struggling to overcome the effects of a devastating 2010 earthquake. Operating a clinic in the mountain village of Jolivert, Chelsea and her colleagues worked alongside Haitian medics, providing hands-on care for everything from minor abrasions to more significant illnesses and injuries. 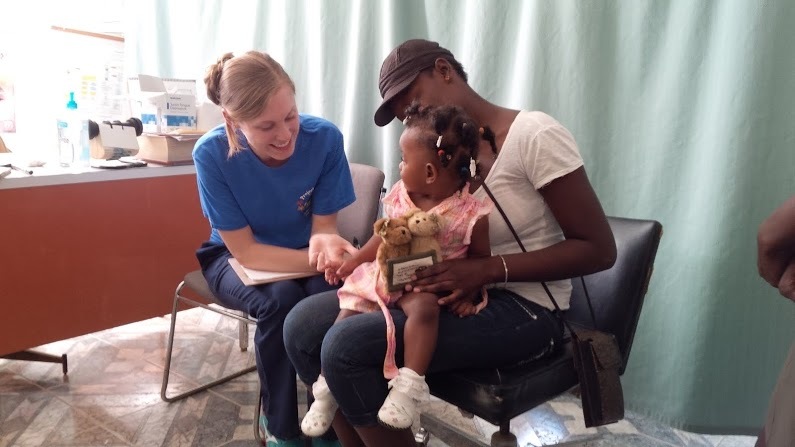 She estimates the team treated about 600 patients, infants to old folks, with issues ranging from arthritis to high blood pressure to typhoid and malaria, which are common in Haiti. Team members also brought desperately needed over-the-counter medications, as well as toys, kids’ clothing, and school supplies for an orphanage in Port au Prince. To meet her assigned quota of 100 pounds of donated goods, Chelsea held a fundraiser at her dad’s Rockland Laundromat; she also received donations from her fellow employees at Quarry Hill and from Kennebec Pharmacy and other local businesses.